I know, I know, it’s been a lot of pompoms lately! 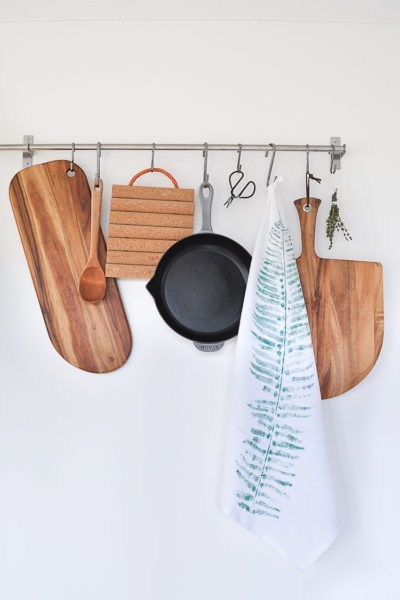 I was so excited to partner with the Fall for Local Market this past weekend! 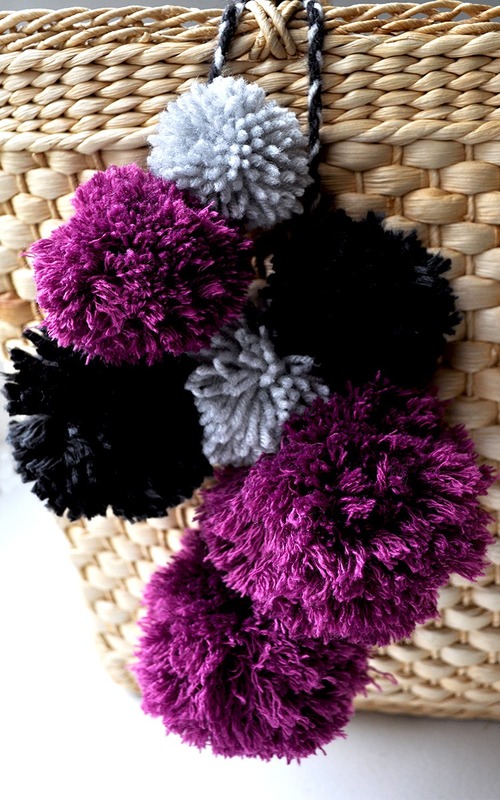 We made some great pompoms. I am not going to lie, I cheated! I ended up buying the pompom makers from Michael’s craft store as I figured it would be easier for people to use and I was right! It also made fluffier pompoms. 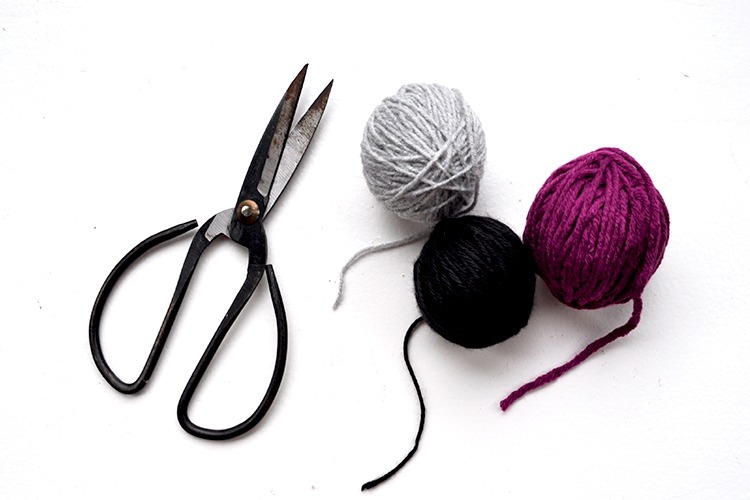 If you have some leftover yarn and want an easy craft, here is the step by step for pompom making with nothing but your hand! 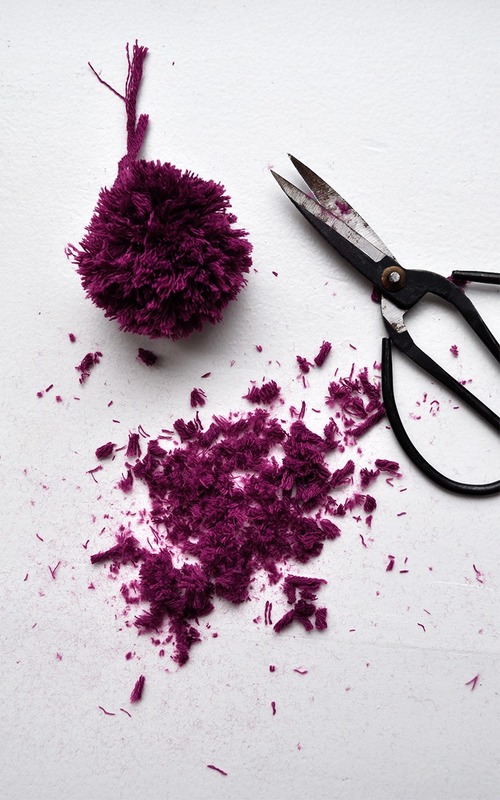 Step 2: Wrap – The more fingers you use, the bigger the pompom! Wrap around about 50 times or more, if you want it fluffier. 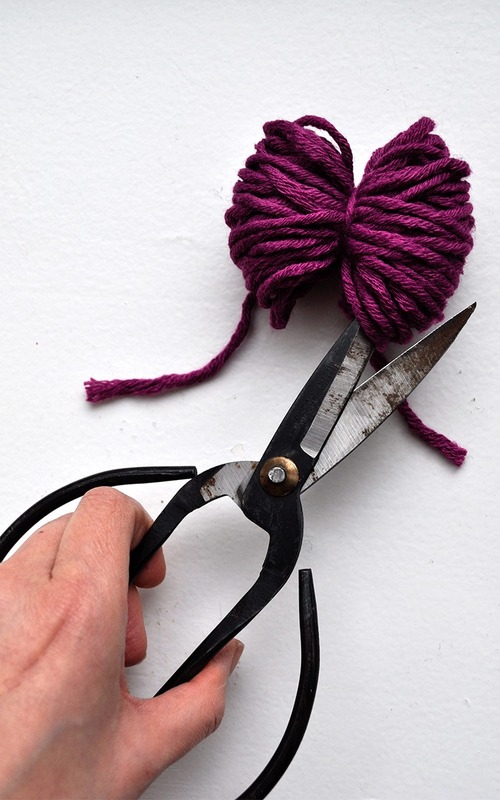 Step 3: String – cut a small piece of yarn to tie around the yarn once you have finished wrapping. 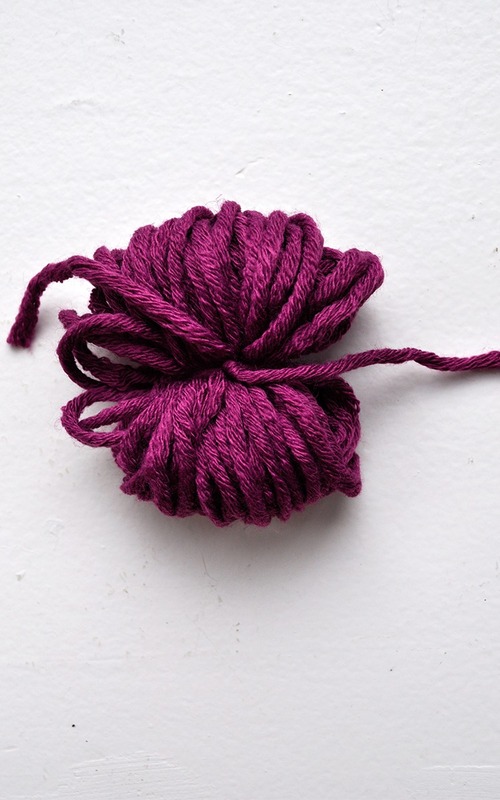 Step 4: Tie – Make a knot as tight as you can, this is what is holding the pompom together! 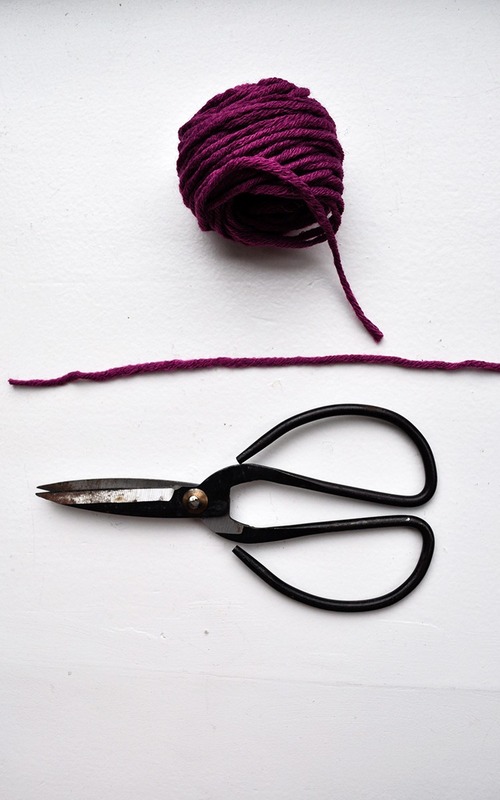 Step 5: Cut – Take your scissors and cut on either side. 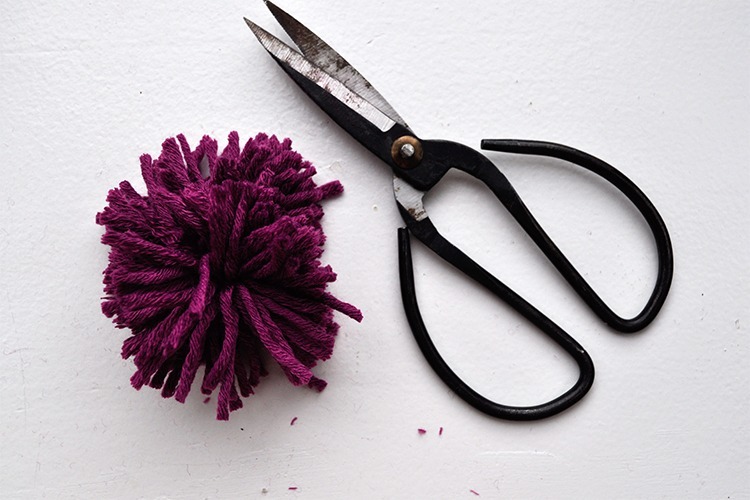 Step 6: Your pompom will be uneven, don’t worry that is normal, it’s a little less with the pompom maker, but your pompom will still need a haircut. 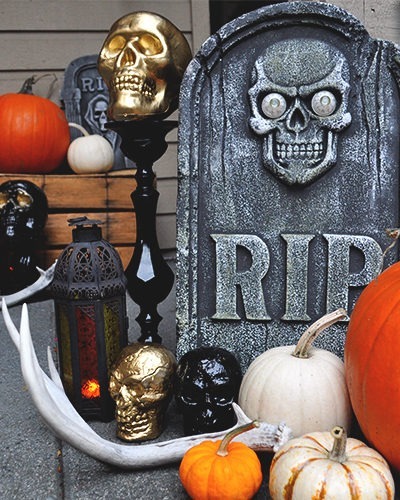 Step 7: Trim – this is the best part! 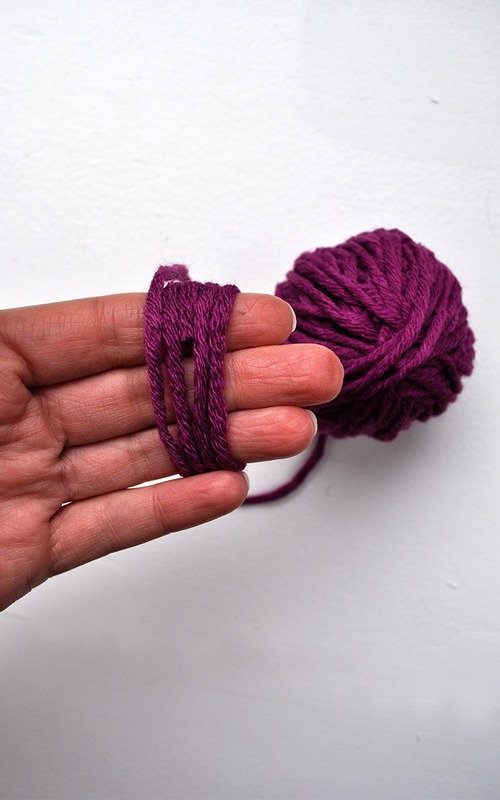 Step 8: Braid – Make a small braid with three strands of yarn. 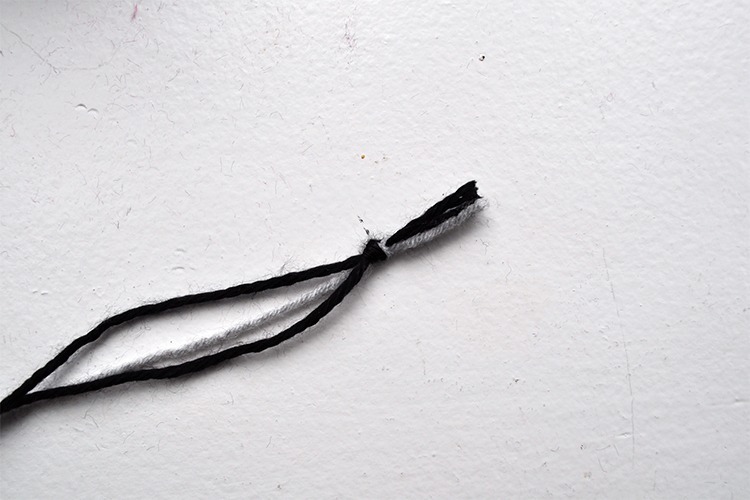 Step 9: Tie the pompoms to the braid using the little tails from your tie. 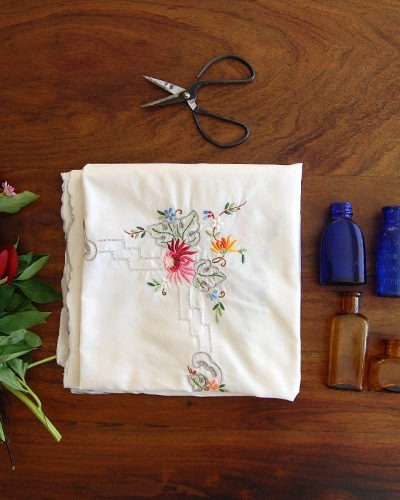 Step 10: wrap it around your favorite bag! The best part is that you can use this bag charm on different bags since we are not attaching in anyway, simply wrapping. 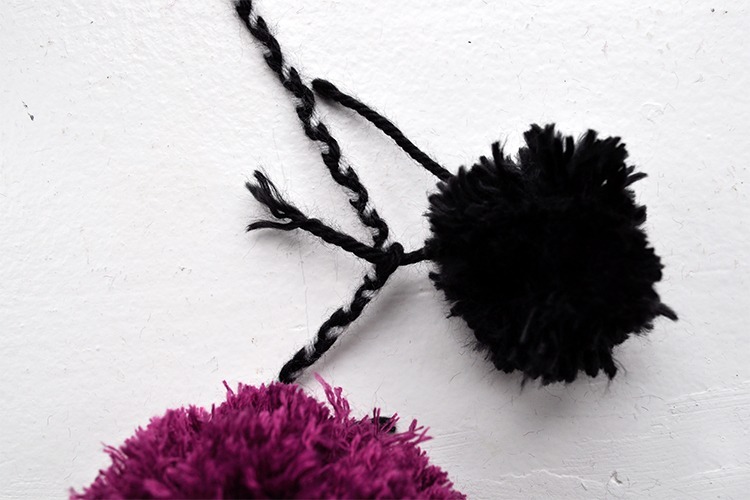 This pompom DIY is so easy and only takes twenty minutes! A great afternoon craft with the ladies for summer!